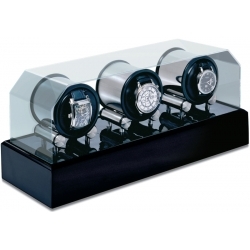 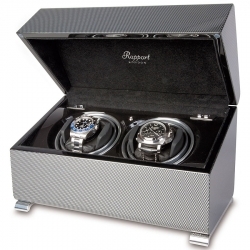 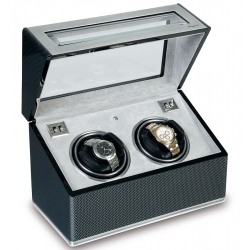 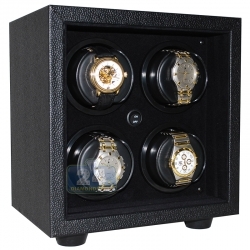 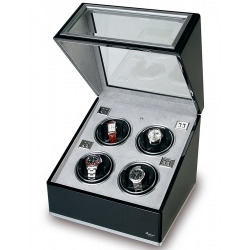 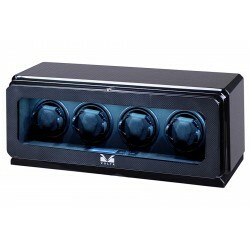 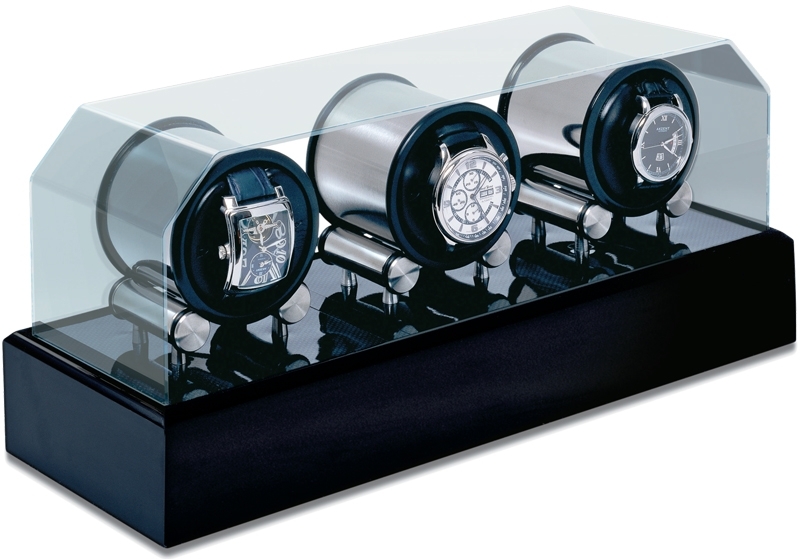 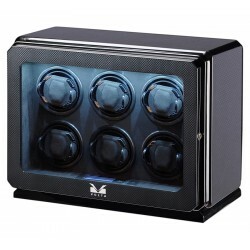 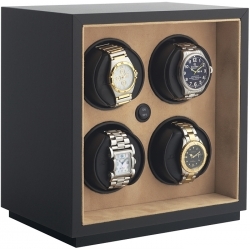 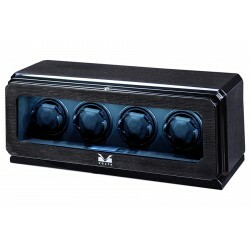 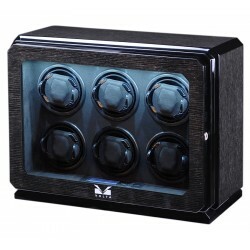 W34004 is triple automatic watch winder, a part of Futura series, manufactured by Orbita Corporation. 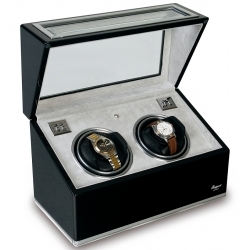 It has high-gloss lacquered wood finish base and acrylic lid dust cover. 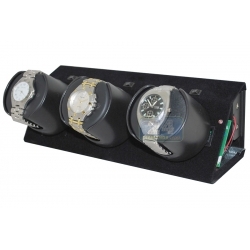 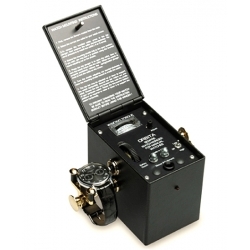 This triple winder features programmable winding technology that is controlled by a sophisticated microprocessor. 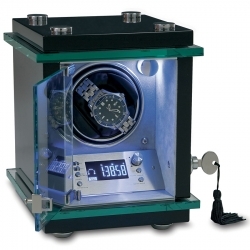 It allows to switch between 650, 800, 950 or 1300 turns per day, with a choice of clockwise, counter-clockwise or automatic reversing rotations. 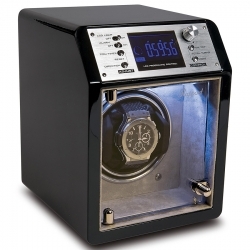 The unit is powered by supplied AC adapter or alkaline batteries (not included). 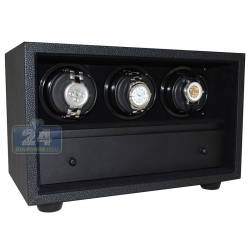 Please check other triple watch winders. 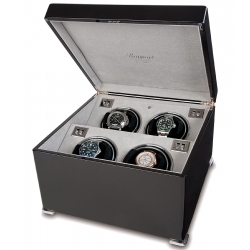 The good: design, durability, mechanism inside, locally manufactured. 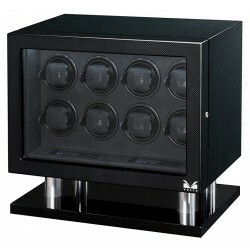 The bad: price, seems a little expensive. 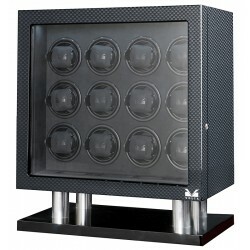 Amazing design that ideally fits my contemporary furniture... Orbita on the top as always!